Today, I want to give you our wedding planning toolkit, which we also call the bride’s “wedding planner in a box“. This is a collection of useful resources to help you plan your wedding by yourself without stress, and faster. If you’re planning a wedding on your own (O.Y.O) without a wedding planner, then this wedding planning kit is for you – you’re going to like all the 6 wedding planning planning tools (ready-made templates, worksheets, cheatsheets and more). Scroll down to see a list of what we are gifting you, and also download them below. Click the blue button above to instantly download the wedding planning starters kit. Now, imagine this: Last week was your engagement party – you were HAPPY and blushing! Today, you’re STRESSED because there’s so much to do about the wedding plans but so little time. It’s even worse because there’s no close friend or family to assist you. 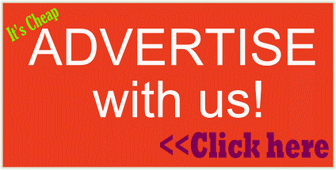 You’re also wishing you have the luxury to afford to hire a wedding planner to do all the pre-wedding legwork for you. You’re there, shaking! You haven’t done a single wedding planning thing and don’t even know where to start planning from. If that sounds like you, we’ve got your back – read on for how to get your own ‘wedding planner in a box’ kit for newly engaged who don’t have a wedding planner. We’ve got just the thing for you: we’ve compiled the ultimate wedding planning starter kit to make ease you of the stress, make planning easy and faster – even if you don’t know where to start planning your wedding. We know how stressful it can be planning a wedding from scratch and juggling with work at the same time, and we want to help. So here it is! All of the resources listed below can be found in our ‘wedding planning in a box kit’ – our free gift for you to download for free. We are not charging you for it – all we’re asking is that you help share/ tweet about this to others, so that more and more brides would know and download this free wedding planning kit. If you had a wedding planner, one of the things s/he would do for you is your budget. But if you’re going solo, where do you start from? What and what should you budget for, as per the usual things to buy when organizing a Nigerian style wedding. You may have agreed with your H2B (husband to be) on how much you both have for the entire wedding, but you’re stuck about how to allocate/ divide that money between these: the reception, bride and groom’s attire, wedding service providers etc. Again, we threw those into the wedding planning toolkit that we’re gifting you. Most brides (grooms too) feel comfortable to start from peeking at what other people’s wedding cost. We know that and so we didn’t forget to throw that into the ‘wedding planning kit’ that we’re gifting you. Click the blue button above to instantly download your wedding planning toolkit now. What stresses brides is knowing the right order to do these activities, and making sure to not forget a single thing – that could cause the wedding day to be not-glam. So, since we know that you’re not one to take chances, we also added that to the wedding planning kit. As a Nigerian bride or groom, you already know that you’re very likely to have a big CROWD at your wedding, many gate crashers and uninvited guests. Your fear: you hate weddings where food or meat or drinks finishes and the real invited guests leave hungry. And, you’re wondering who and who you should/ shouldn’t invite. But since you are not the CBN Governor, you have to cut down your guest list to your pocket – to how many plates of food your budget can pay for. That’s why we’ve also added the wedding guest list template to the toolkit. We know you’re a glam chic and also glued to those ‘Ovation magazine’ style wedding photo shots. Guess what? Those poses are pre-planned, baby (it’s true, but do not say I told you – it’s our secret). So, in the wedding planning kit we’re gifting you, we’ve included the same list of wedding photography poses. Just in case you don’t have deep pockets to hire World-class wedding photographers, give this list to your average-price photographer, and you’re guaranteed to get your magazine-looking photo shots on your big day. *After your wedding, come back here to share the glam photos with us – we will publish it in our ‘Glam Wedding Photos of the day’ section. BONUS TIP: When your engagement and wedding photos reach your hand, be sure to back them up in a safe place, just in case… Speaking of that, I use Dropbox hard drive on cloud to store my most important documents and pictures – I always recommend my brides safe-keep their wedding photos on it. It’s free – click here to get your own Dropbox for safe-keeping your engagement and wedding pictures. Don’t you just love us? We’re cool like that, and we have even cooler freebies for you in stock. Now that you see what’s in your gift list (from us), I see you smiling and heaving a sigh of relief. 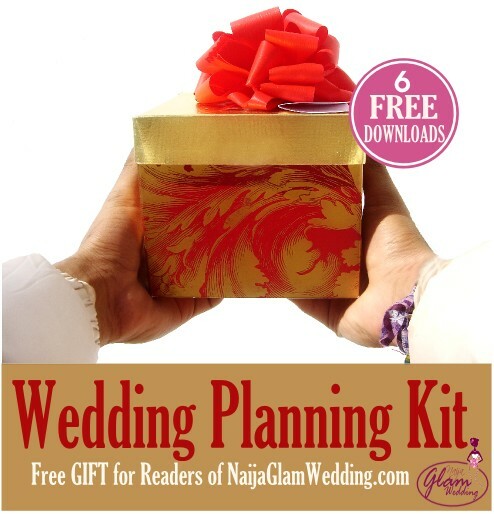 Here’s the download link again for the ‘wedding-planning-in-a-box’ bundle (click here). Let us know what you think about the planning tools gifts. How do you plan to use this wedding planning starter toolbox to plan your wedding by yourself, just like an expert? Tell in the comments box below, I want to ‘hear’ your voice. Hi Bunmi, so sorry – thanks for letting me know; I’ll have it fixed. Okay, go here (click) to download our wedding planning tools – you’ll need to click on the image for any particular item you want. Sorry about that, Laura.Thanks for informing me – I had no idea. Let me go and check how to fix it. Check back again. I can’t seem to find the toolkit even after paying wit the tweet as I’m told the “the Item you’re looking for has been removed or deleted” from the Dropbox. Dts not cool @all…. Hi Bianca. Sorry about that – I was not aware. Thanks for letting me know – I have now fixed the problem. I hope you like the wedding planning kit. Can’t wait to start planning. I’m so excited to be part of this community! Absolutely, Eghogho. Yes, you can – right away. Welcome to NaijaGlamWedding community. Hope you like the wedding planning toolkit? We are excited to guide and inspire you through that journey – via our wedding planning articles, tips and style lookbooks.